Welcome to the Bailey Baio Angel Foundation! expanded newborn screening as well as learn how you can support BBAF and our Angels. Who are we and who do we help? What are OAs, GA-1 & ENBS? BBAF hosts an Annual Golf Tournament, dinner and silent auction. This event is our main fundraiser and helps us support our Mission. We hold our tournament in September or October every year. As the event approaches you will find information here, including: dates, registration forms and other important information for those who wish to donate items for the auction, participate in the golf tournament and/or attend the dinner and silent auction. If BBAF has any other fundraisers throughout the year, you will also find current information about those here. Below you will find some of our most commonly asked questions. Don’t see your question? Please don’t hesitate to contact us! Click here to send us an email and we’ll get back to you as soon as we can. Who are the children that BBAF supports? BBAF supports children with Glutaric Acidemia Type-1 (GA-1) and other Organic Acidemia (OAs) metabolic conditions. Many of these conditions are detectable through newborn screening (ENBS), and the early diagnosis can save lives. You can learn more about GA-1, OAs, and ENBS by clicking here. To meet some of our BBAF Angels, please click here. There are a number of ways to help BBAF and its families. Monetary donations allow us to support our Mission. There are also opportunities for volunteering and sponsoring families. There are also sometimes events and fundraisers that allow for item donation with sales benefitting our BBAF Angel families. Yes. BBAF is a 501(c)(3) Non-Profit. Our non-profit Tax ID is 26-3316634. What is the Annual Golf Tournament? 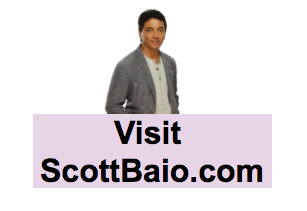 The Annual Scott Baio Golf Tournament is our main fundraiser and helps us support our mission and Angels. It normally takes place every October at Woodland Hills Country Club in Woodland Hills, California and includes a golf tournament, dinner and silent auction. When is the next Annual Golf Tournament? The Annual Golf Tournament is held once a year in Woodland Hills, California. It is usually held in October. For more information, please click here. We recommend checking back often to ensure you are able to reserve your spot. This event sells out quickly every year.